Condemnations from world leaders of the murders of three Israeli teenagers continue to pour in. Condemnations from world leaders of the murders of three Israeli teenagers continued to pour in on Monday night. 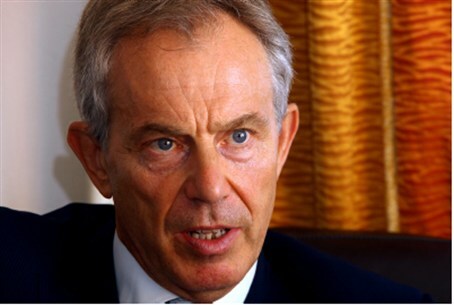 Former British Prime Minister Tony Blair, the Quartet’s envoy to the Middle East, said he was “shocked and appalled by the heinous and wicked kidnapping and murder of the three Israeli teenagers, and my heartfelt sympathy and condolences go to the families of Eyal Yifrah, Gilad Shaar and Naftali Frenkel." "There can be no justification for this act, there can be no compromise with those responsible, and the whole international community should be united in condemning it," he added. U.S. Secretary of State John Kerry also condemned the murder, describing it as a "despicable terrorist act." "The killing of innocent youths is an outrage beyond any understanding or rationale, and the perpetrators must be brought to justice," Kerry stressed. Catherine Ashton, the European Union’s High Representative for Foreign Affairs, also condemned the murder. "We condemn in the strongest terms their killing. We express our sincere condolences to their families and friends and share their grief,” she said in a statement. “We trust the perpetrators of this barbaric act will swiftly be brought to justice. We call for restraint of all parties concerned in order not to further aggravate the fragile situation on the ground," added Ashton. These condemnations follow those of French President Francois Hollande and British Prime Minister David Cameron, both of whom issued statements of condemnation earlier Monday.